In May I was in Oregon. My friends have invited me to fish for salmon. 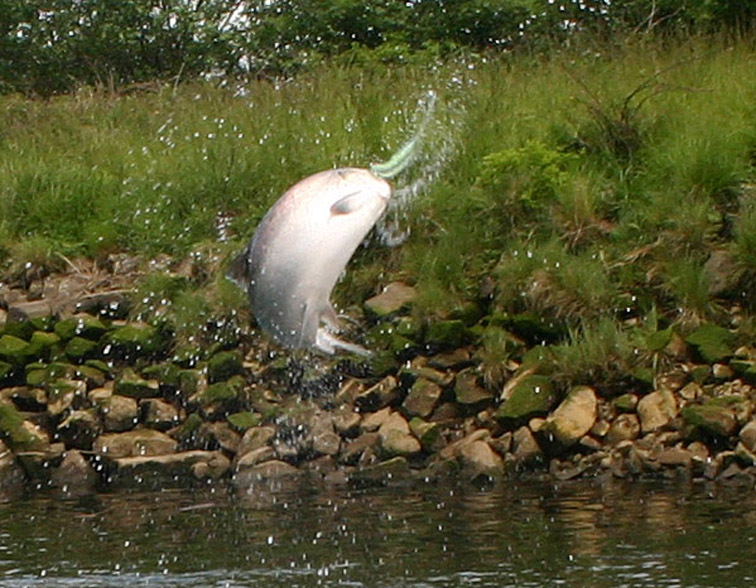 This time of a year spring chinook is running into some coastal rivers. We were fishing with flies, in the tidal area. My friend was lucky to hook a fresh 30-pound chinook. This was a leaper! The fish had made three jumps, after that it had broken the line on a snag.